Walmart may be the nation’s largest retailer and its biggest supermarket chain, but the latest results from the American Customer Satisfaction Index once again show that Big W continues to lag far behind all of its competition. For the seventh year in a row, Walmart received the lowest score on the ASCI rankings of department and discount retailers. With a score of only 71, Walmart was at least 10 points behind category leaders Nordstrom and Dillard’s. Since those two retailers are significantly more “high-end” than Walmart, one might conclude that customer satisfaction is tied to the price of goods being sold. But stores like Kohl’s and Dollar General received top marks in the ACSI survey, demonstrating that you need not charge top-dollar to have happy customers. Meanwhile, Macy’s received a below-average score of 75, putting it only slightly above Walmart in the list. “[This] suggests that discounting is not necessarily associated with weak customer satisfaction, nor is high-end retailing a guarantee of the opposite,” writes ACSI about its retail results. 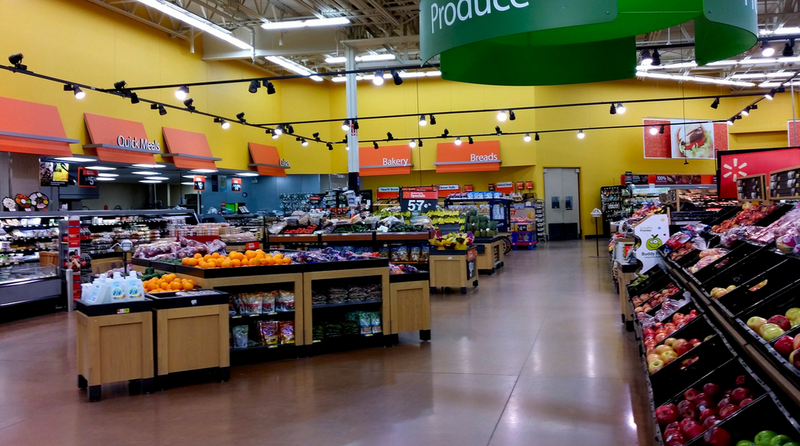 Since ACSI began including Walmart in its supermarket rankings in 2004, the store has had the lowest score each year — and 2013 was no different. That said, Walmart’s score of 72 in the latest survey is tied for its best-ever result, though it was still 14 points below industry leader Publix (which has had the highest score for 20 years running) and six points behind the industry average of 78. ACSI’s average for smaller grocery stores resulted in a score of 81, beating out every brand name on the list except Publix, including Kroger, Safeway, Winn-Dixie, and even Whole Foods, which failed to beat the industry average for the first time in since 2009. For both the retail and supermarket categories, “Speed of checkout” was the category in which stores fared the worst, meaning retailers could probably make customers a lot happier just by opening up a few more checkout lines. On the opposite end of the scale, customers seem to be generally pleased with the convenience of store locations and their hours of operation. That will be an interesting figure to watch over the coming years as retailers face increased competition from online merchants. If stores are closed or hours are cut, will it bother customers or will they not notice because they will be getting those purchases elsewhere?